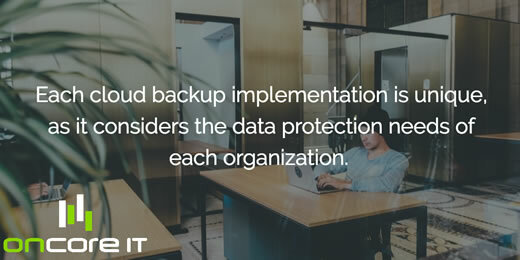 Each cloud backup implementation is unique, as it takes into consideration the particular data protection needs of your organization. These can include remote offices, laptops and mobile devices such as tablets and smartphones. Any complications involved in moving to an outsourced cloud backup service can be mitigated by selecting the right cloud backup service provider who provides a solution that is hardware and software agnostic enabling you to leverage your existing infrastructure. Engaging with the right service provider will provide you with the guaranteed seamless implementation and ongoing support you require. Outsourcing mundane backup processes to a proven cloud backup expert will enable you to re-deploy existing IT resources to more strategic revenue generating initiatives. Your cloud backup service provider will be able to guide you through the implementation process and provide dedicated support to help you calibrate and optimize your backup solution for you. The good news is that once your private cloud backup and recovery solution is in place, it will require minimal maintenance as compared with on-site solutions such as tape backup. Given the central role that data plays in your organization, it’s critical that your cloud backup service provider has proven expertise in delivering a trusted cloud backup solution. A thoroughly tested implementation will provide your company with assurance that a cloud backup solution will not fail when it is most needed. Two key factors in understanding data recovery are Recovery Time Objectives (RTO) and Recovery Point Objectives (RPO). RTO refers to how quickly your business needs to be able to recover after losing data and can be measured in hours or days. 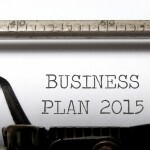 RPO refers to how much data your company can afford to lose as measured in hours. So, for example, a Fortune 500 company for some types of data might require an RTO of five hours and an RPO of an hour. The RPO and RTO may vary for different types of data. Every business needs to determine an RTO and RPO based on their own calculations of risk tolerance and business continuity requirements. As part of this process, it’s important to take a hard look at the type of data your company collects and uses on an hourly, daily or weekly basis. Many companies fail to realize how important a fast recovery is to achieving their business objectives — until they experience a serious data loss. The impact of a data loss event can be significant. A retail operation, for example, is constantly collecting data in order to perform analytics related to pricing strategies, inventory supply and peak periods of demand. This real-time data is essential to remaining competitive. Many companies can no longer afford to rely on a truck arriving each day to take backup tapes offsite because it potentially puts at risk a full day’s worth of valuable competitive business data.